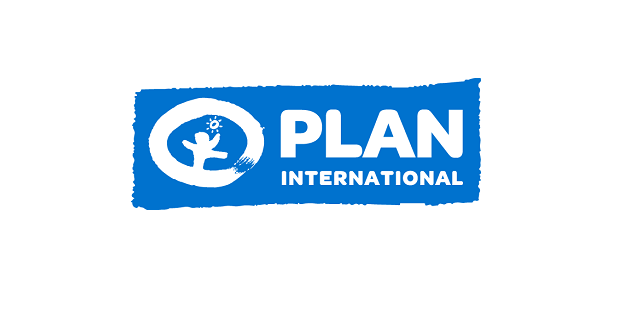 Plan International is an independent development and humanitarian organisation that advances children’s rights and equality for girls. We support children’s rights from birth until they reach adulthood. We believe in the power and potential of every child. But this is often suppressed by poverty, violence, exclusion and discrimination. And it is girls who are most affected. Working together with children, young people, our supporters and partners, we strive for a just world, tackling the root causes of the challenges facing all children and especially girls. We are active in over 80 countries across the world. The purpose and ambition of Plan International EU Office is to advance children’s rights and equality for girls in particular in the EU’s external action. In line with Plan International’s Global Strategy, One Million Reasons, and the EU Office’s 5-year strategy, we will contribute to ensuring that 100 million girls learn, lead, decide and thrive. We work with the EU in its three roles as a donor, policy-maker and promoter of human rights. This is an exciting opportunity for a dynamic individual to join our EU funding team to support the EU Partnership Managers in implementing Plan Europe’s funding strategy, both in relation to DEVCO and ECHO, and ensuring EU development and humanitarian aid pays particular attention to children and girls in particular. Responsible for supporting the EU Partnership Managers (DEVCO and ECHO) in ensuring EU development and humanitarian aid pays particular attention to children and girls, by increased EU grants for quality projects for Plan International. Maintain an up-to-date contact database of relevant focal points and staff within Plan. Support the drafting of briefing notes on EC compliance for Plan’s Country Offices. Support the development of training packages. Support Plan staff when visiting the Brussels office for EC grants and advocacy reasons. Support the office with administration (e.g., invoices, logistics of meetings, minutes). Strong affinity for working with figures and statistics. If you meet the skills requirements above and are interested in applying for this post, please send your CV (no Europass) and cover letter in English to EUORecruitment@plan-international.org with “Application: EU Partnership Assistant” in the subject. Deadline for applications is the 5th February 2019 at 23:59, Local Time in Brussels, Belgium. Applications received after the deadline will not be reviewed. Please note that only shortlisted candidates will be contacted. Successful candidates must hold the right to live and work in Belgium. A range of pre-employment checks will be undertaken in conformity with Plan International's Safeguarding Children and Young People Policy. Plan International is fully committed to promoting the realisation of children's rights including their right to protection from violence and abuse. That means we have particular responsibilities to children that we come into contact with. Plan International believes that it is our duty to ensure that we, as an organisation, do everything we can to keep children safe. We must not contribute in any way to harming or placing children at risk. Plan International is an equal opportunity employer. We celebrate diversity and are committed to creating an inclusive environment for all employees. We encourage women, minorities, individuals with disabilities or members of other underrepresented groups to apply.